It has happened to all of us at one time or another! Because (between you and me) nobody remembers to jot down on a Post-It the entry code of their friend’s apartment block before dropping by! And that’s when the problems really begin: you’re face-to-face with a door that refuses to let you in… so you grab your phone to make an SOS call to your friend when, nightmare: YOUR BATTERY HAS RUN OUT! But don’t panic! 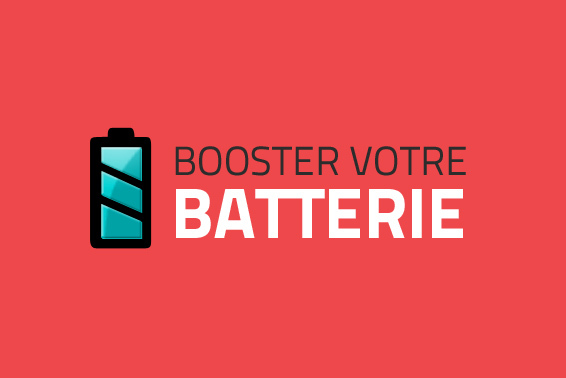 We’re here to help you optimise your battery life with a few tips. First, disable the options that you don’t use all the time: Bluetooth, Wi-Fi and, of course, the GPS. Next, close down background tasks and applications. Finally, and most important of all, dear friend, turn down the brightness on your screen! And, seeing as we’re fond of you, we’re going to give you a few more tips! Remember to disable your notifications (emails, Facebook, Twitter, etc.) and avoid using animated wallpaper! We also suggest that you download some of the free applications available on PlayStore as a way of improving your phone’s autonomy. Battery Defender, for example, is easy to use and very efficient, and comes with an average user rating of 4.4 out of 5! The 2x Battery application could prove useful if your smartphone runs down and switches itself off unexpectedly at a crucial moment; it has very positive user reviews and an average rating of 4.3 out of 5. Last of all – and this is for all of you out there who are so addicted to your smartphones that you don’t want to turn them off at night in case you wake up in a fluster and without a clue what time it is: switch your phone to airplane mode! In short, these are all tips that can help save your life!